With the recent craft cocktail revival, many bars and restaurants are putting as much thought and effort into what goes in your glass as what goes on your plate. They take pride in sourcing boutique spirits, creating house-made cordials and devising new drinks to dazzle their patrons. 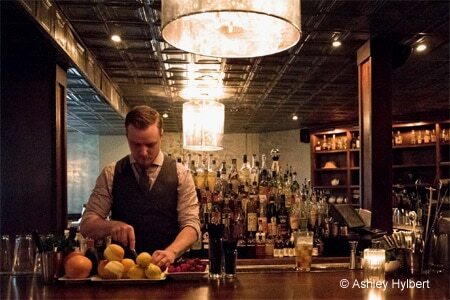 Check out GAYOT's selections for the Top 10 Craft Cocktail Bars in America, presented in alphabetical order. Get help with mixing the perfect cocktail with GAYOT's list of the best cocktail recipes.